Teachers view parental involvement differently for different students, believing that mothers and fathers of immigrant or minority students are less involved in their children's education, according to research from the University of Pennsylvania and New York University published in Social Science Research. Such perspectives hamper the academic trajectory of those students, leading to lower grades and fewer recommendations for academic honors. "There's a whole body of literature that suggests that much of what teachers view about their students comes from how they view their students' parents," says Penn doctoral candidate Phoebe Ho, lead author on the paper. "In our study, though we don't quite tap into why this is happening, we can show that it matters whether teachers view parents as involved." 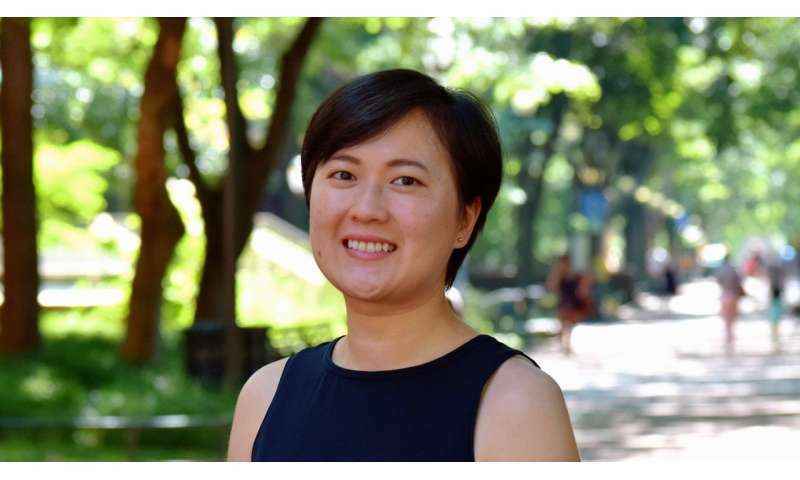 To draw these conclusions, Ho, who studies the sociology of education and family, and Penn alum Hua-Yu Sebastian Cherng, now an assistant professor of international education at NYU, turned to the Education Longitudinal Study of 2002, a nationally representative survey conducted by the U.S. Department of Education. Existing studies of this type often analyze data focused either on what parents report about their own in-school involvement or what teachers believe about such contributions. This dataset, however, contains both, including independent surveying of math and English teachers, as well as student responses. Ho and Cherng analyzed several measures from the data. The first included teachers answering the question, "How involved are the parents of this student in his or her academic performance?" for nearly 6,100 10th graders. Teachers could respond one of three ways: not involved, somewhat involved, very involved. In the second set of measures, parents assessed their own contact with the school, including activities such as attending parent-teacher association meetings and volunteering. Parents also described what happens at home, such as whether they checked their child's homework nightly or what conversations occurred regarding college preparation. "There is much debate around parental involvement. How much or how little should parents do? How do we best encourage parental involvement?" Ho explains. "That assumes there's a shared idea about what this looks like from parents and teachers, and we questioned whether this was the case." The researchers' investigation showed that, in fact, the two groups differ on this matter, particularly for certain immigrant and minority populations. English teachers, for instance, tend not to consider immigrant Asian and Latino parents as highly involved. Math teachers generally perceive Latino parents through this same lens. "It's a common story that immigrant parents have high aspirations for their children, and yet they are considered not very hands-on from a school's perspective. They don't do the things a school expects them to do," Ho says. "The views really match stereotypes related to academic ability." In the short- and potentially longer-term, such attitudes affect the students in these families, a finding Ho and Cherng discerned by looking at GPAs at the end of sophomore year and teacher recommendations for academic honors. Two students whose academic potential look nearly identical on paper actually diverged in reality if their teacher viewed their parents' involvement differently; students whose parents were considered less involved had lower grades and less of a chance of being recommended for academic honors like advanced placement courses. "The only difference between the two was whether the teacher viewed the parents as highly involved," says Ho. "One was seen as involved, the other not." Ho says she believes the work could have implications for schools and for teacher training, presenting an opportunity to reassess how educators view families and what unconscious biases are at play. She also thinks the United States is an outlier from the rest of the world in this regard. "Outside the U.S., school is school and that's the teacher's realm, and home is home and that's the parents' realm," Ho says. This clashing perspective could underscore why immigrant parents may shy away from certain types of school participation, she adds. "Because they're newcomers to the U.S., immigrant parents might be seen as uninvolved because they don't do some of what U.S. parents are expected to do," she says. "To me, that says maybe they're coming from places where it's just not the norm." The researchers acknowledge some limitations to this work, including the fact that the dataset doesn't account for federal policy changes made since that time, such as No Child Left Behind, and doesn't include an assessment of the quality of interactions between parents and teachers. Despite this, Ho says the study shows the disadvantage placed on minority and immigrant families and students and contributes to the overall conversation about parental involvement in the U.S. In the future, she says she and Cherng hope to ask these same questions about kindergarten and elementary-age children and their families. Asian-American students have strong academic support—but is it too much?